Pinterest is loaded with cool stuff! Why not share it on your other networks! Pinterest has lots of cool stuff! Why not share your favorite PINs with the rest of your social networks?!? With SocialShare you can browse the Pinterest boards for your favorite Pins and instantly One-Click post them to Facebook, Twitter, SMS text messages, E-mail, GMail, any feature that utilizes the SHARE function on Android. This insanely simple app will have you up and sharing pins across networks within seconds. There is NO login required and you don’t even have to be a member of Pinterest to get going. 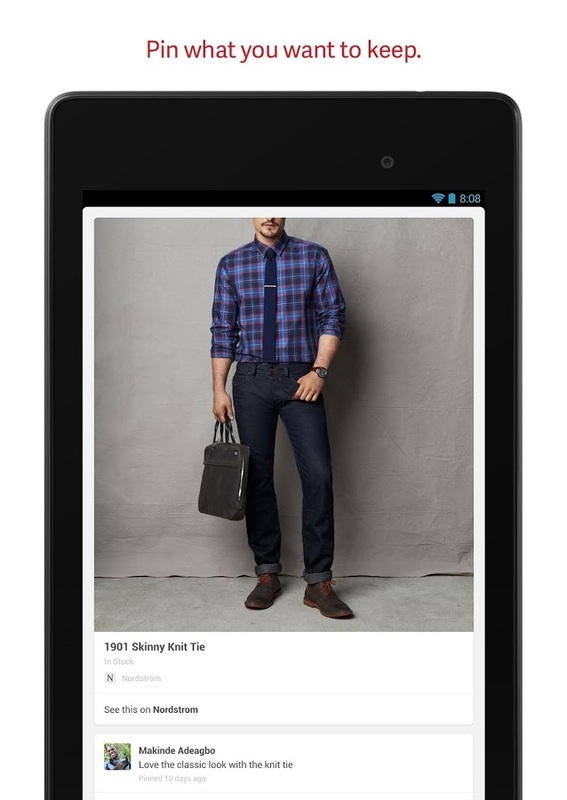 ✔ Cool Gallery Style layout of Pinterest Pins on Android! ✔ Look through thousands of PINs that are Updated Daily! ✔ One-click INSTANT Sharing direct to any social network: Facebook, Twitter, SMS Text Messages, E-mail, Gmail, etc. ✔ Pictures – Post a variety of funny, cool, interesting pictures that will get LIKEd. 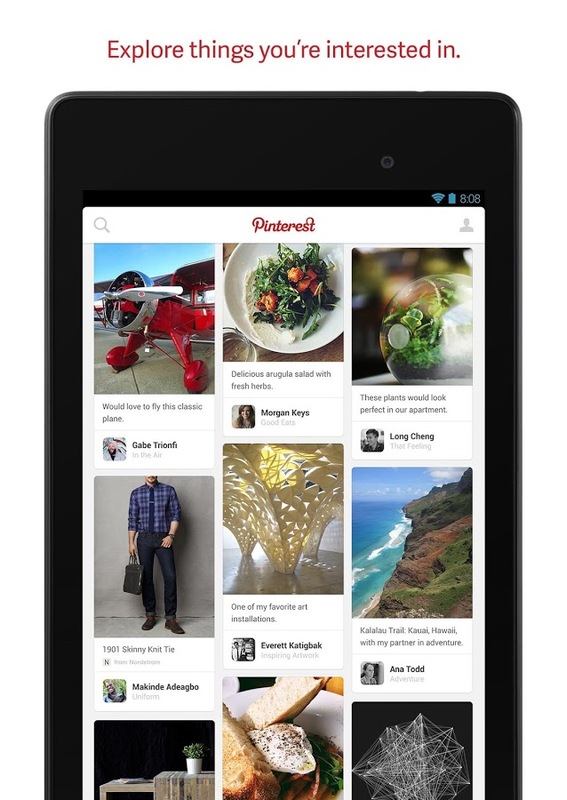 ✔ Popular – Browse the most popular Pins on Pinterest and share them with your networks. 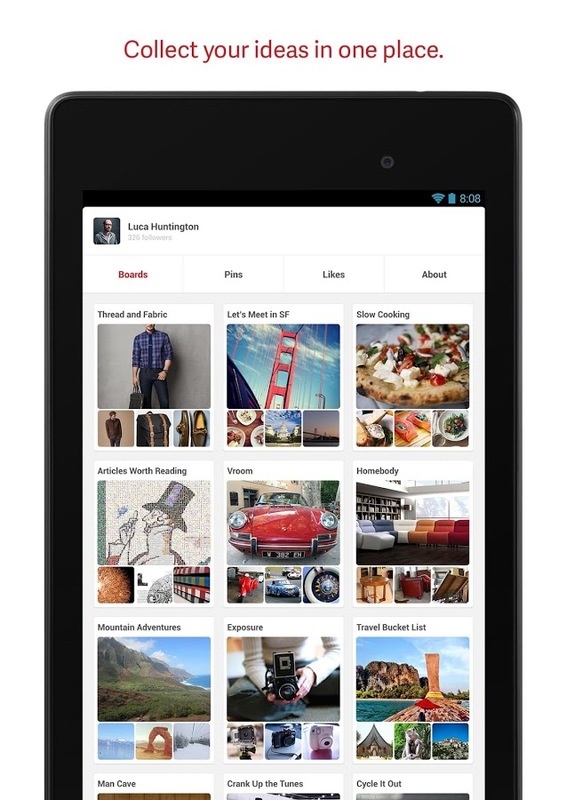 ✔ Everything – View over 32 different categories of the “Best” of Pinterest boards. Get more LIKEs & Followers by sharing these awesome photos that are so popular on Pinterest. Step your Social Networking game up by expanding your love for Pinterest right onto your other networks. ♥ Share a FUNNY picture on Facebook! ♥ Post a delicious recipe to your Twitter followers. ♥ SMS your friend your dream Wedding Dress. ♥ Post to your company page about an exciting new product! ♥ Explore a new city or country with your FB Friends. The uses and potential of this app is unlimited! We are not affiliated with or sponsored by Pinterest in any way. Just huge fans of the website and love sharing it with our fellow Pinsters!